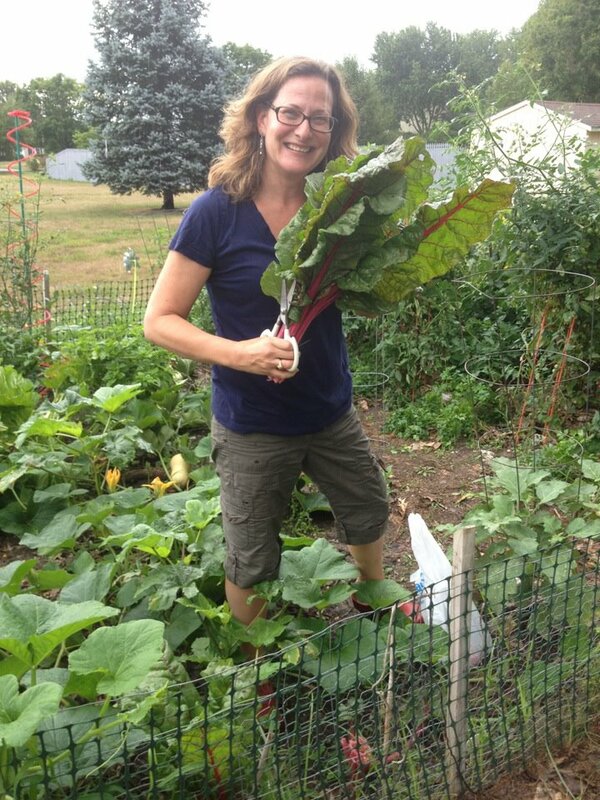 I have been a sustainability professional for over 20 years and vegetable gardener for nearly as many. We rely on our garden to provide almost all our produce and what we don’t get from the garden we try to source from local farmers. With children ranging from 3 years to 22 years old, I have a wide variety of taste buds to make happy. Cooking from the garden means needing to find variety in how we use whatever vegetable or fruit is in peak to keep my family interested and excited. In this blog I will share with you the good stuff as well as the attempts that went awry – they are always an opportunity to learn and to laugh. My 3 year old son has also now developed an interest in cooking. In addition to working with him on my recipes, I ordered Mollie Katzen’s (of Moosewood Restaurant fame) cookbook “Pretend Soup” – a cookbook geared to toddler cooks with adult assistants. I will chronicle his adventures in cooking as well. Googled your site and now it is in my favorites! What a dreamy garden. Love that chard! Thanks! And it even survived Sandy! 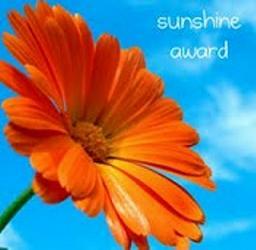 I have nominated you and your blog for the Sunshine Award. Thanks for continuing to enlighten my blogging world with your words, photos, and wisdom! In case you want to check out my nomination post, the link is http://moveeatcreate.wordpress.com/2012/11/17/a-big-thank-you-and-lots-of-blog-love/. I visited your website and it looks like you are located in Delaware. I’m also a Delaware locavore, but currently don’t know how to find local produce, except at Whole Foods in Glen Mills, PA or through a Lancaster based CSA. Any tips for me?? I’m looking forward to perusing your blog to find garden tips, too. I’m a novice, but already planning my spring garden! If you are in new castle county, there are a few good options- check out highland orchards on foulk rd- Ruth is wonderful. Milburn orchards in md is great for peaches and apples. South of the canal is Filaskys produce in Middletown. John grows the best corn! I am in Dover but will go to each of those when I am in striking distance. But please feel free to contact me any time with questions on where to find what or about your garden. Filasky’s is one of my favorite places! I’ve blogged about them several times. I’ve been to Milburn but never to Highland. I’ll check it out. Thanks for the tips! I have a farmer in Hartly who I get free-range eggs from. Let me know if you want his contact info. He is the “Farmer Kim” in just about all my posts. Thanks! I am checking out your blog now! great cooking ideas; so easy even a child could do it!!!! Found your blog while looking for an easy recipe to can the overabundance of Serrano peppers I grew this summer. I made my first batch in early September and gave 2 jars to my mom, she recently opened them and swears they are the best peppers she has tasted. I just finished another batch from the last peppers of the season, I pickled an array of hot peppers and they all smell wonderful. Thanks for posting such a great recipe. My step-daughter and son-in-law are Jewish and I plan on making some of your recipes for them when I travel to Florida for the month of January, will let you know how they like them. Thanks again! I am so glad they came out so well. I always enjoy giving a jar as a gift and watching folks taste it. Great fun! Can’t wait to hear how the other recipes turn out. Have fun with them! I’ve enjoyed your blog a lot recently! I’ve started to do some indoor gardening myself. Came across your blog through pinterest and love it! I am persian married to an american and love all the persian recipes. My husband is the cook in the family but I try to impress him with my persian cooking. Thanks for helping with that;-) Trying your fesenjoon tonight! I learned from my Persian sisters-in-law. I would watch them cook in Iran and then try to translate the recipes into a way Americans would cook (like the fesenjun in a slow cooker). I hope these are helpful for you. Your sourdough crackers turned up in my vegetarian reader today, and I’m so glad they did. I may not have a garden these days, other than what I can grow in my kitchen, but I once did. Looking forward to following you. Welcome Kathryn! And I just checked out your blog- great stuff! I will need to try the black bean and cabbage stew!! I’d love to hear how you like it, or how you change it up. I’m a tweaker myself! Made it tonight- yum!! I am thinking leftovers cold for breakfast with good bread. My sweetheart eats it cold for breakfast. I prefer it hot, but I like most cooked food hot. I bet! That’s not something I’d probably try, but I do put almost any leftover dish that’s not too soupy in a wrap. Love your garden. You are so lucky to have the space and skills to grow your own vegetables.